WHICH CHARACTER HAVE YOU ENJOYED GETTING TO KNOW WHILE WRITING THE TRAIL RULES? 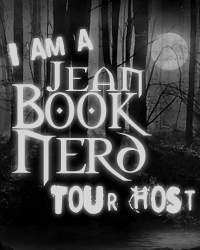 The more novels I write, the more I learn about myself as a writer. My process has become more fine-tuned, I recognize when I’m going to get frustrated and start to question why I ever wanted to write in the first place (right about the 30k word mark), and I’m slowly weeding out my crutch words. But there’s one thing that is always new, and that’s the intricate dance of how I get to know my characters. I’m a social person, and the getting-to-know-you phase is no different just because my characters are figments of my imagination. I know age, hair color, and physical descriptions from the start, but it’s their personality that takes a little longer to discover. In The Trail Rules, the main character is Mike, a 16-year old girl who wasn’t as willing to share her thoughts as my other characters. She’s introverted, unsure of herself, and has no idea what she wants to do for the rest of her life. While my teenaged self can relate to the last one, the other two were a bit of a challenge. One thing we do have in common is our love of the outdoors. She starts mountain biking because of her boyfriend and discovers that being in the middle of the forest calms her in a way nothing else does. While her boyfriend tries to hold her back, she meets a new group of friends who don’t just challenge her to push her limits, they assume she can do it. I learned that she needs that extra motivation to go after a goal, almost like she can’t give herself permission go after what makes her happy. 1. There are ten “Trail Rules” throughout the book. 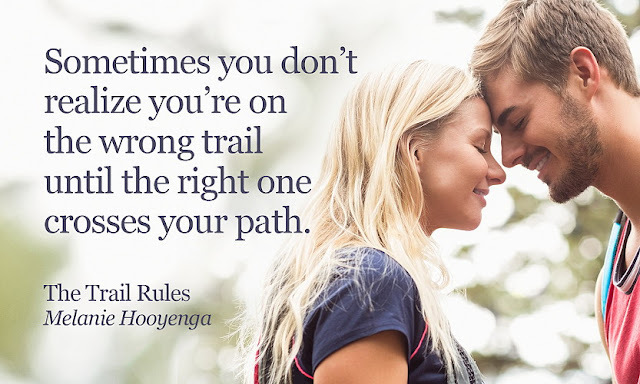 They’re things that can apply to both riding and life, and my favorite is Trail Rule #8: Sometimes you don’t realize you’re on the wrong trail until the right one crosses your path. All three books in the series have rules like this. 2. Mike is very much like me on a bike. I don’t mountain bike and my biggest fear when I find myself near trees is that they’re going to decapitate me. 3. Mike wearing spandex shorts in the first riding scenes is completely based on my ignorance. My friend who rides kindly informed me that real riders wear padded cargo-type shorts. 4. While the ski resort in the first book is real, I made up all the trails in this book. 5. I did a lot of research on mountain biking to make sure I had the terminology, equipment, and other stuff correct. 6. The Ethics class Mike and Brianna have together is based on an Ethics class I took my sophomore year of high school. Many of the questions and discussions are pulled from my memories of that class. 7. I’m a heavy outliner but I had to change the entire second half of the book when Mike decided she didn’t like her boyfriend anymore. 8. I watched the entire Bourne Identity movie to make sure the explosion I referenced in Chapter 7 was accurate. 9. While I’ve never competed in a bike race, I’ve run a number of 5Ks, including several mud runs. The Pow Cross is based on my experiences there – especially the costumes. 10. I have a short story that tells how Alex and Kurt, two friends Mike makes on the trails, started dating. It comes out this summer in an anthology! I love this scene because it introduces the phrase “there’s a hiker in every biker,” which is my favorite line in the book. I glance at Mica again—okay, it’s more than just a glance—and hit a root. Focus, Mike. I push them both out of my head and keep my eyes trained on the ground. Getting distracted on the trail is bad enough, but it’s dangerous when everything is wet and slippery. I successfully make it through half a dozen turns without checking out Mica, but am forced to break my concentration when he slows. We’ve caught up to the rest of the group. Alex, Topher, and Kurt have their bikes on their shoulders and are picking their way through trees and brush alongside the trail. “What’s up?” Mica asks Cally and Blake. “Trail’s washed out,” Cally says. “It’s okay, I’m good.” I turn away before I have to look into his eyes. I don’t understand why everything has shifted inside me, but it has, and I feel awful. Like I’m betraying him. I settle my bike on my shoulder and we trek single-file into the trees. “I didn’t realize there’d be this much walking,” Blake says. “There’s a hiker in every biker,” Mica replies. “A hiker in every biker,” I murmur. Mica looks over his shoulder at me and smiles. Trail Rule #7: Never say never. I enjoyed the scene & am ready to read more.